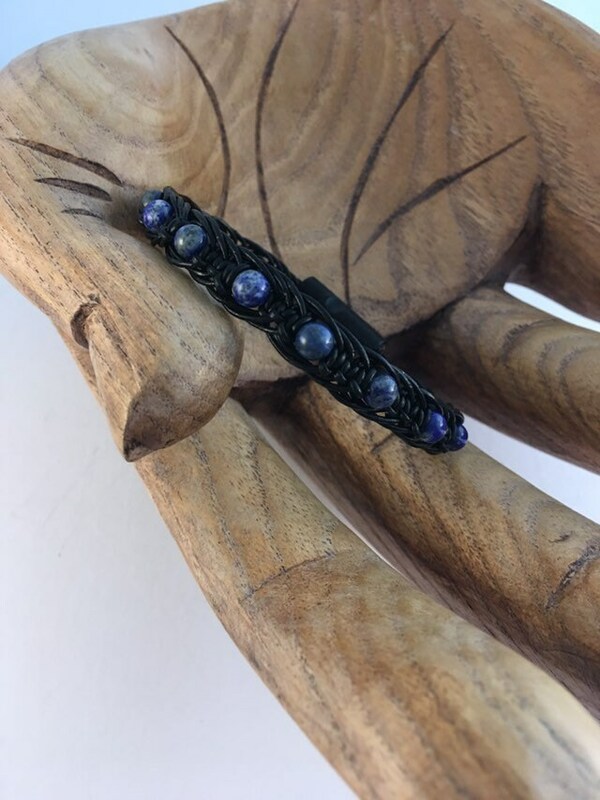 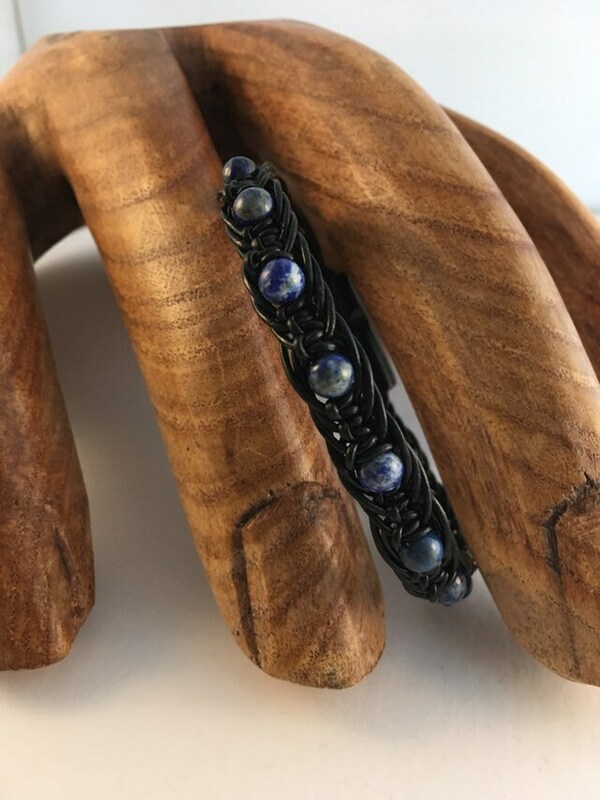 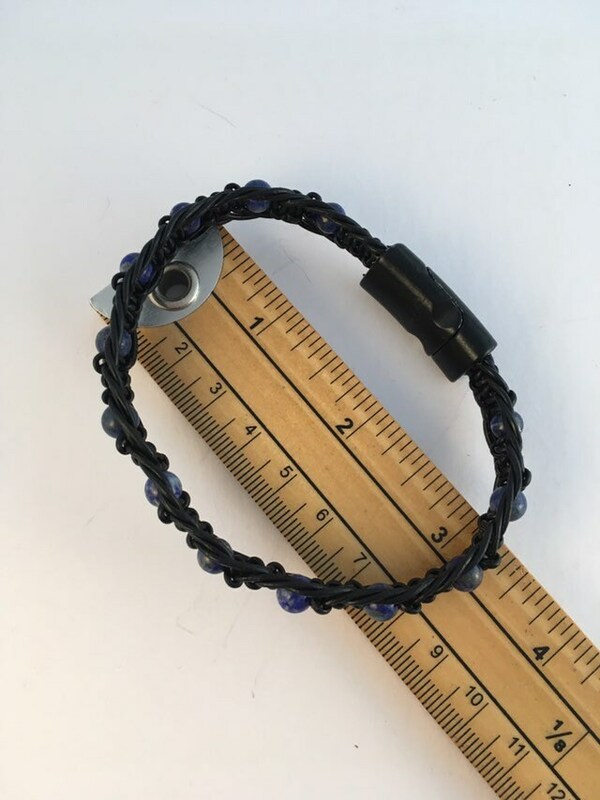 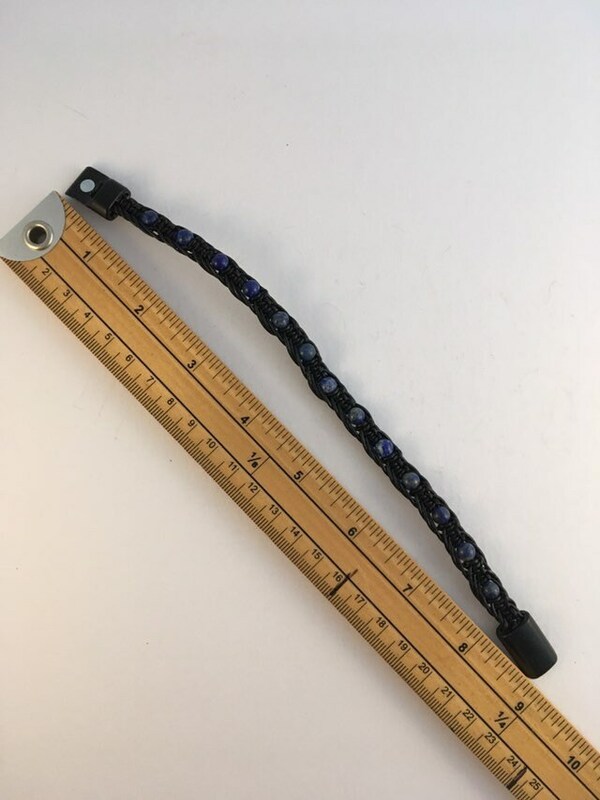 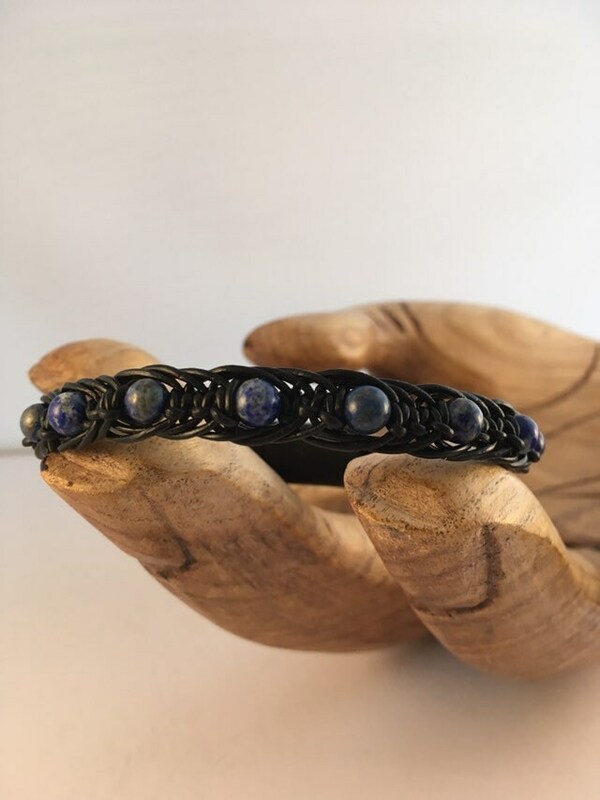 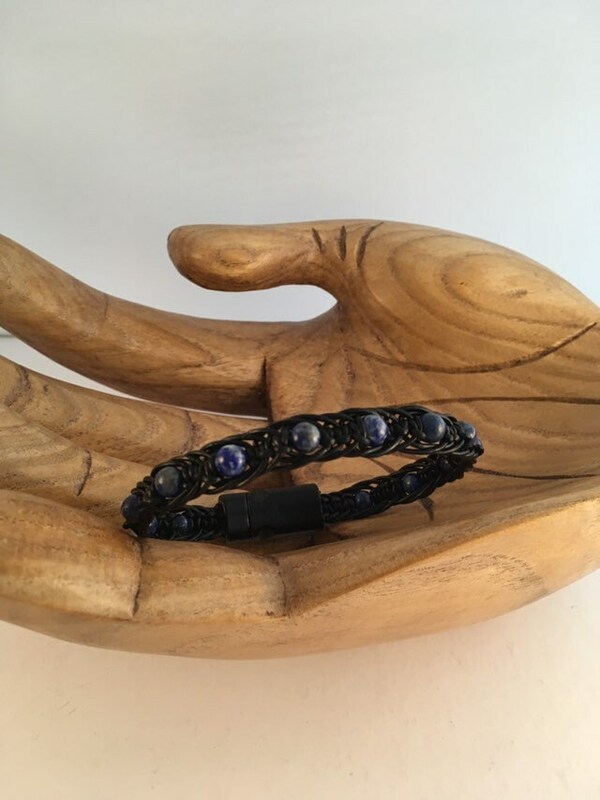 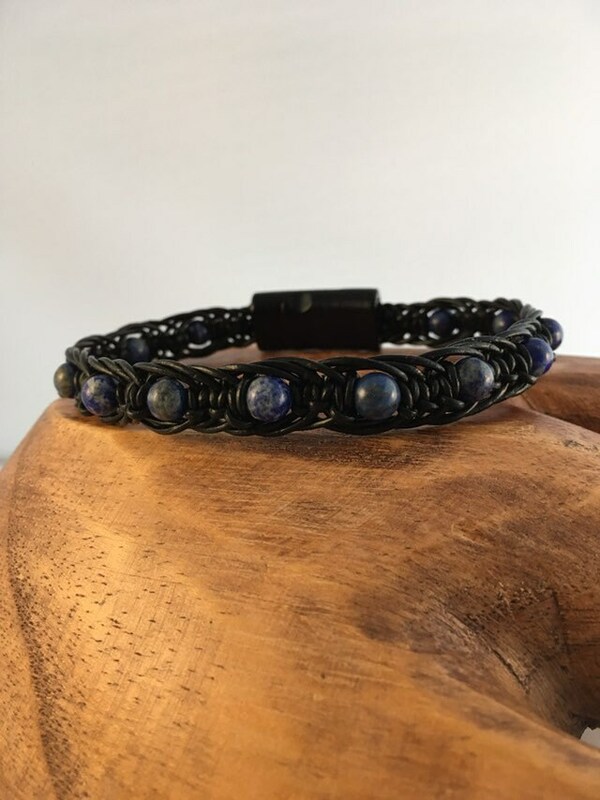 Blue and black, macramed bracelet for him! 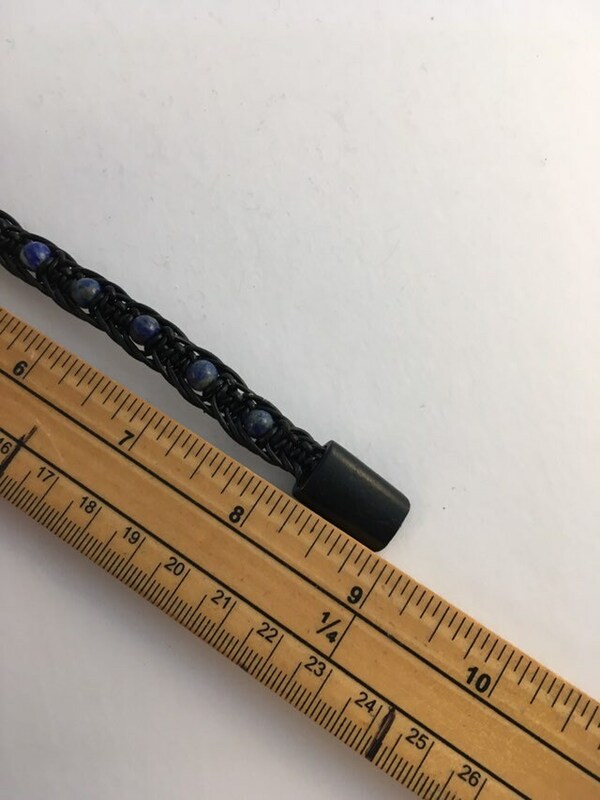 Genuine Lapis Lazuli gemstones. 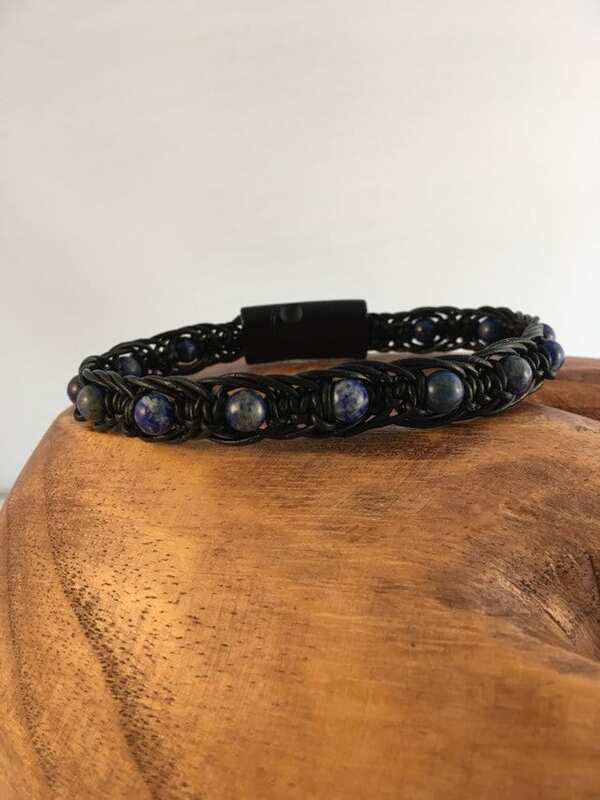 Handcrafted, herringbone weave, with genuine leather. 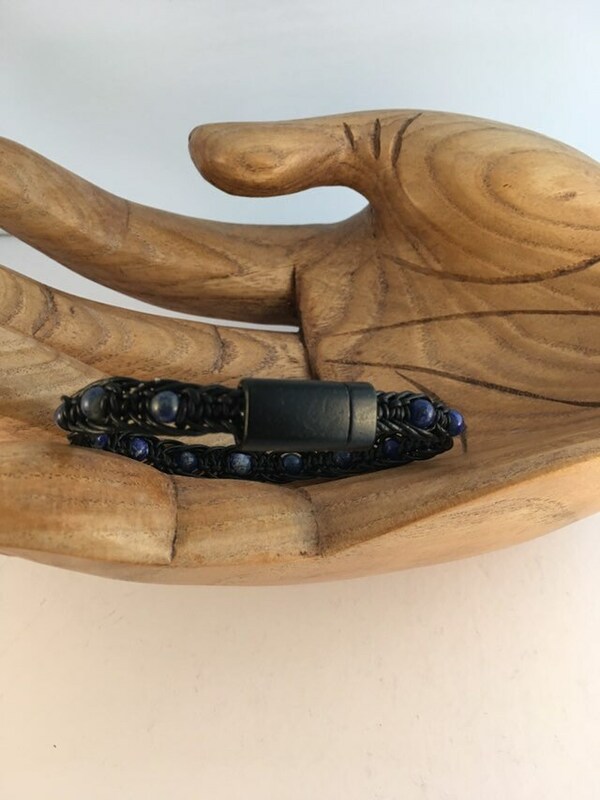 Please be aware that if you have a pacemaker in situ, the magnetic clasp is not suitable - we do have plenty of designs without the magnetic clasp!